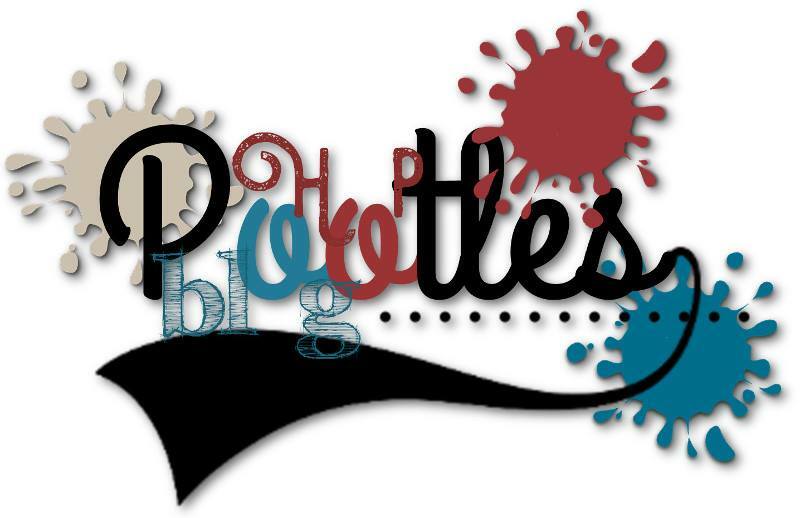 Quite excited today, I am taking part in a fabulous blog hop with a lovely collection of fellow demos. We're all showcasing some of our favourite products from the brand new Stampin' Up catalogue. Do keep on moving through the hop after reading my post, there are some beautiful projects to see and lots of inspiration. My card today is a clean and simple idea using Happy Birthday, Gorgeous which is fast becoming a firm favourite - it really is so versatile. You can use it for quite gender neutral cards like this as well as super feminine projects like THIS ONE. 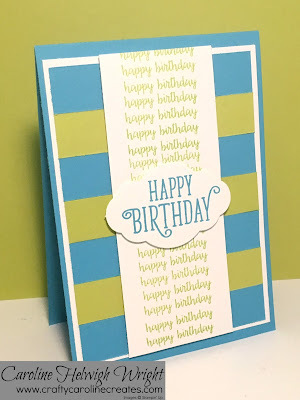 For this card I cut some strips of card stock 3/4 inch wide in Tempting Turquoise and Lemon Lime Twist and layered these up on a base of Whisper White which you can just see peeking out to give a lovely border. The Lemon Lime Twist Happy Birthdays are all stamped by hand - the photo polymer stamp makes lining these all up so easy. I've also used the new Pretty Label punch for the large Happy Birthday sentiment - this is also becoming a real go to punch. Keep on hopping and visit Hannah next - she has a beautiful project waiting for you. As always, if you would like to buy any Stampin' Up products, you can shop on line 24/7 in my online shop HERE, or get in touch at craftycarolinecreates.com and it would be my pleasure to help. Lovely Card Caroline. I love this stamp set too. Lovely card - like the stripes and the repeat stamping which I always like when I see it, but never think to do on my own cards! Wonderful hop, thanks for all of everyone's inspiration. Craft Room Tour and Punches Update! Daisy Punch - last time to order for a while.